Beast Bach entries hit the roof! Right, entries are coming in at a ridiculous pace for the 11 mile Beast Bach so I’m to capping it at 220(I had originally said 200!) Currently at 207!!! If you want to run, then you really do need to get your skates on. Otherwise, man up and do the bigger one! lol Reasons for capping it is the volume of runners at the bottle necks especially through the woods after 1/2 mile. Plus registration at the hall, and parking in the village could be an issue. 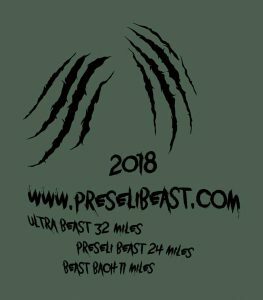 Ultrabeast Entries 2018 – 42 entrants. I need to point out a few things about the cut off point at Foel Feddau, and it is the point at which you leave the 24 mile route on towards Foel Drygarn. Should you be over the cut off time here, or decide to not head out to Foel Drygarn, then you must tell the marshals here this and they will write ‘PB’ on your race number, and a line through it. 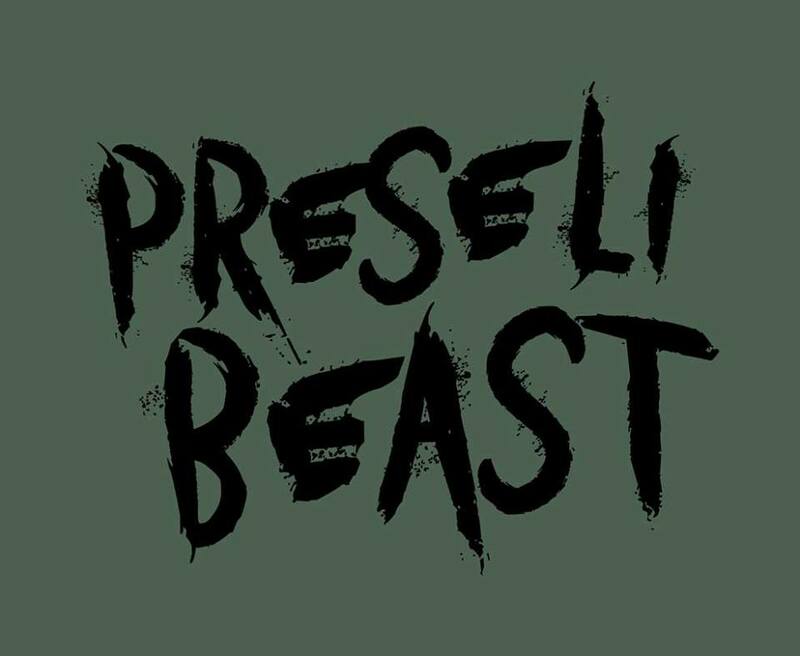 This will let the finishing line marshals know that you are running the 24 miler instead and you will be given a finishing time and result in the Preseli Beast race. 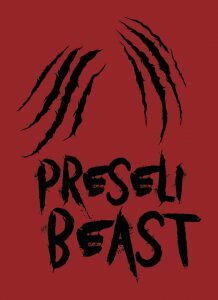 When you return to the finishing area in Maenclochog, you must also remember to finish in the Preseli Beast(24m) funnel. Failure to do this could result in you being given a wrong time, and cause confusion for the timing marshals. It’s confusing enough as it is with three races finishing at the same time! Right, I think that’s it for now. Thanks all. Trophies ordered, and updated entry list. So, the trophies for all the categories have been ordered. A whopping 62, yes, that’s right, 62 trophies!!! Phew! And believe it or not, there are still some categories that nobody has entered for!!! Okay, so it’s for the Ultrabeast which is pretty tough and it’s probably going to get the least number of entrants. Where are the tough F50s in the Ultrabeast, and there’s only 1 OF currently entered too! 🙂 I’m sure some will step up to the mark before the day. A huge Thank you to all the sponsors. Please click below to see the whopping trophy list and their sponsors. I’ve also updated the entry list, so please have a look to check if your details are correct on there. It’s also good to have a sneaky look at who you’re up against! The weekly Beastly entry update! Beast Bach entries seem to be racing in and although there’s ‘only’ 125 entered so far, I will be capping it at 200 ‘if’ it reaches that far. 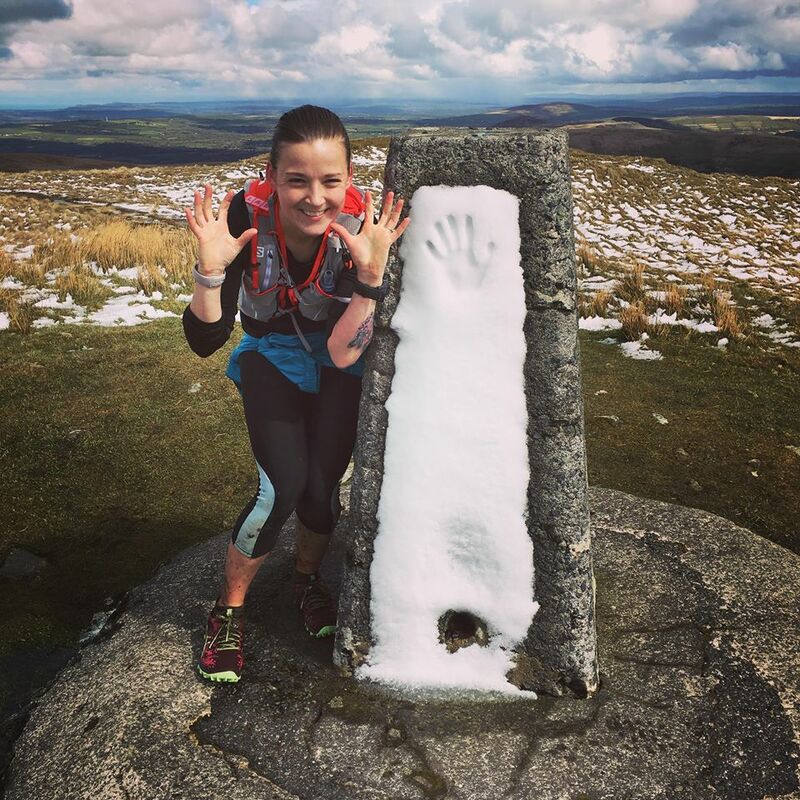 The Preseli Beast and UltrabeasT entries are also coming in, and it seems some of you are in a quandry on which one to do. Perhaps it’s just too tough! And where are the ladies(apart from the F40s’)? Click on either of the below to see who’s already entered. To find names easier, click on race entered, go to category entered, then find first name in alphabetical order. Simples.! Firstly, the entry update as of 18th March ’18. Next update will be in approx 10days time. Please let me know if there are any discrepancies on the list. 2nd Update. I’ve had an amazing response already from some of the local businesses wishing to support the Beast. Thanks to Caffi’r Sgwar, and The Globe Inn for supporting the T-shirts. Then onto the trophies- Cakes by Carolyn( F18-39 UB), Ivor Rees and sons electrical(F18-39, F40, F50, F60 in PB); Pantmawr cheese(team of three Female PB); Phillips and Morris builders, Clunderwen(M40 PB); Wallace direct Ltd home maintenance(M50 PB, F50 UB, & F50 BB); & Caffi’r Sgwar (1st local male & female in UB). Diolch i chi gyd(Thank you to you all). The other reason for starting the two races together is so that if any of you UltrabeasT runners get timed out at Foel Feddau(start of the 8mile extra circuit) you can still run the Preseli Beast route back and still get a recognised result in the Preseli Beast race. So, it’s been quite busy in Beast HQ recently. 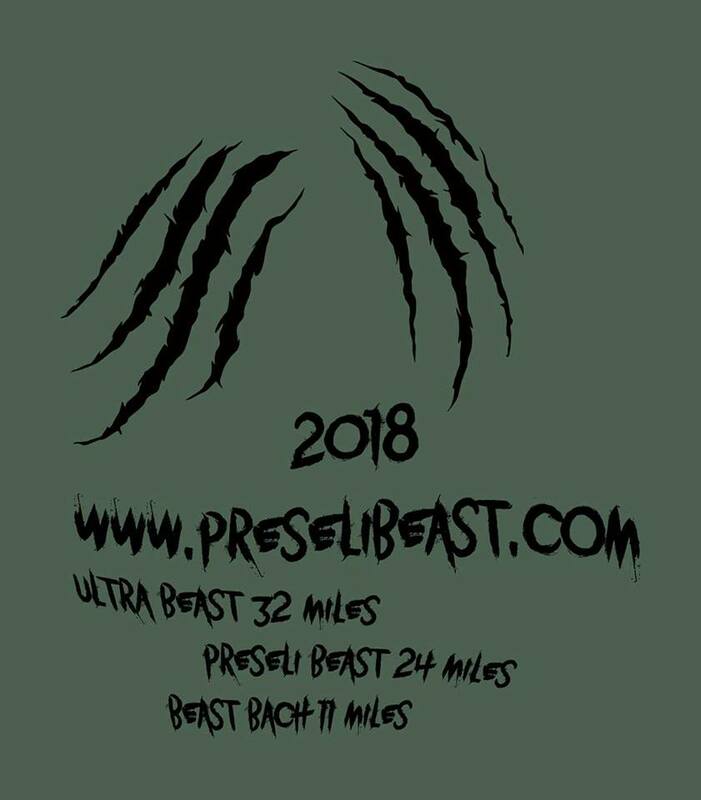 Entries are still coming in, and it seems that a number of you still can’t decide whether to do the Beast or UltrabeasT. It seems you’re leaving entering until nearer the time to see how training is going. Just so you know you can change your mind which race you actually run in without having to re-enter, but please let me know by email before race day. 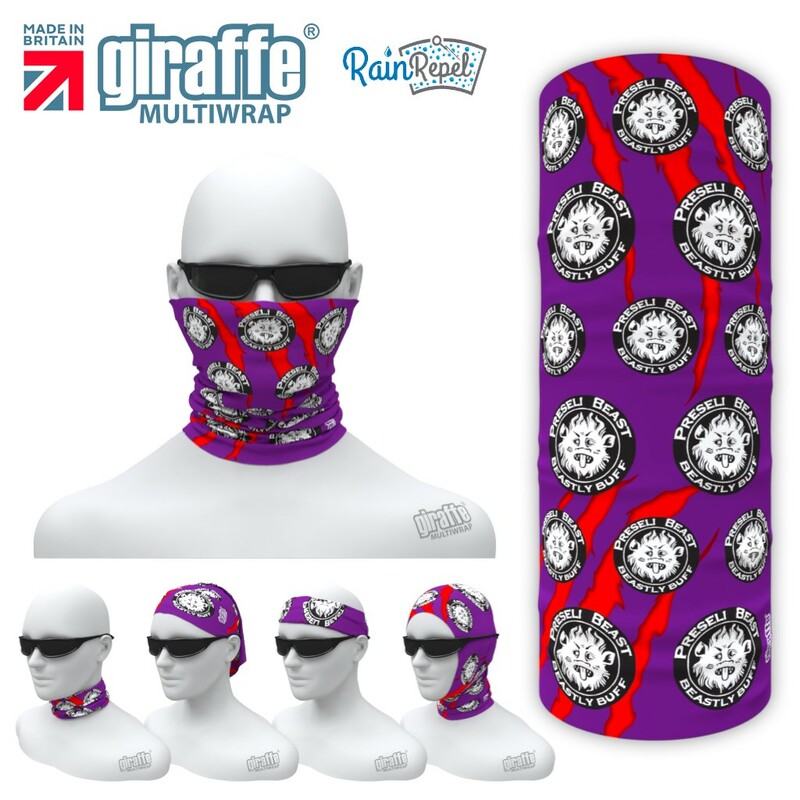 Now for the biggest news of all- I was going to change things a little this year(as I do), in that I was thinking of swapping the coaster for a bespoke Beastly buff! It seems that outrage might have set in with past beast tamers, as the coasters are now becoming collectors items! 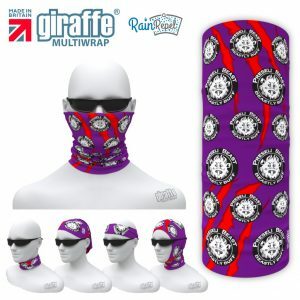 So we’ve decided to keep it the same, and have the Beastly buffs for sale on the day for just £3. You can’t go wrong with these, and I think they look great. Any proceeds(not much I might add) will go into the Beasty(not piggy) bank for me to finally get my own laptop for beastly business as I currently share the one laptop between us! The T-shirt design has been finalised too. Cheers to Chris WELTON for this. 😉 We haven’t quite decided on the colour though. Decisions decisions! Trophy sponsor letters have started going out, and I’ve already had some quick replies! Thanks to Cakes by Carolyn, Ivor Rees & sons electrical, Pantmawr cheese, and Etts electrical for sponsoring the numbers again. Thank you all. If you’ve entered before 4/3/18 then you should find your details in one of the races below. Please let me know of any amendments. Thanks. The Beast from the East meets the Beast from the West! “So, this Beast from the East thinks it can take on the Beast from the West eh! Well, it might need to know that it’s got it’s work cut out with this Beasts savage looks and gnarly teeth. Not heard of this Beast from the west? 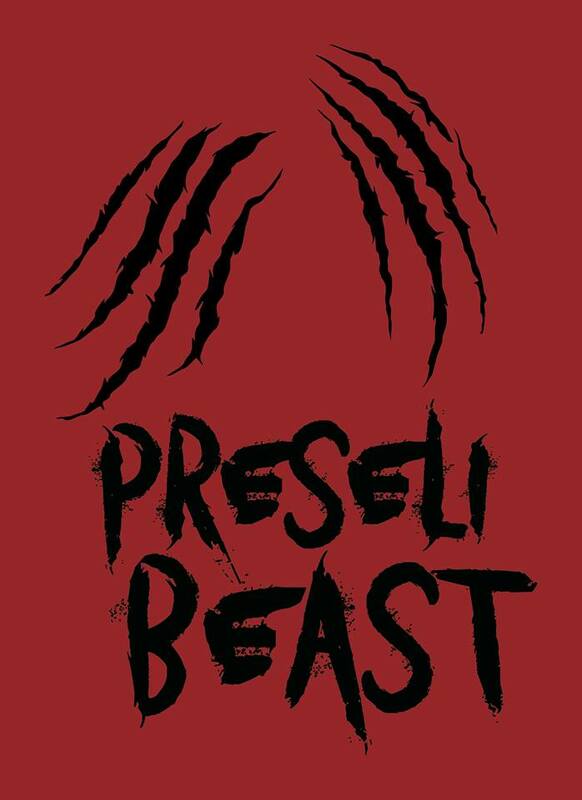 Well it’s the Preseli Beast of course. 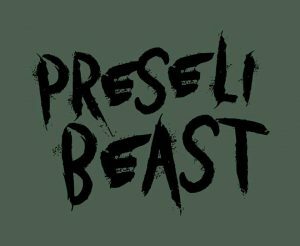 The Preseli Beast fell race is on May 12th, and this is its 6th year. During it’s time many runners from all over the country have tried to tame this beast, and It’s been known to make even the strongest man or woman wimper. With it’s three Beastly courses and the feared ‘Beasts back’ hill, it ain’t for the faint hearted. The consolation to those who do try and tame this Beast comes in the form of its cheery marhsals, and the table that groans under its weight in cake at the very end. Grrrrrr, it’s Sanna the Beast! Waw, it’s been a busy start since entries opened with many of you getting down and dirty to entering early. 😉 Some new runners, and many returning for more……………cake! 🙂 Thank you everyone. If you’ve entered, can you please check your details and let me know if there’s something wrong or you want me to change. All the entrants on the list are up to the 20th Feb.
Now, what do you think of the front of the Tshirt? You might notice that the website has had a bit of a makeover. Hopefully this will make it easier for you, and for me. If you can’t find anything that you’re looking, or experiencing issues, then please get in touch. Below is the logo that will be on the front of the Tshirts this year. Thanks to Chris Welton for designing it. 🙂 Colour might vary.